SASKATOON - A Saskatoon police officer has been recognized by a U.S.-based online magazine for a heartfelt tribute he wrote last spring to a homeless man. 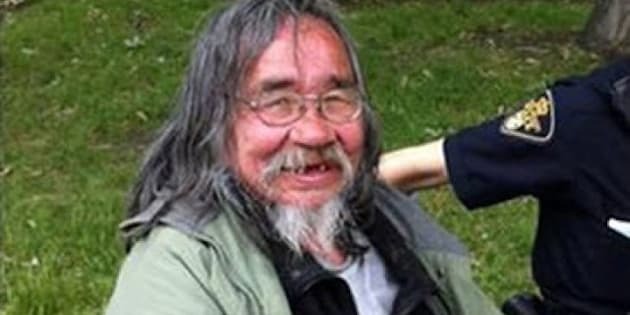 Alvin Cote abused alcohol and lived on the streets, but over the years became friends with Const. Derek Chesney and other police officers. Cote died last April and Chesney wrote a story about him on the official police blog Cops and Bloggers. Online magazine Slate picked up on the touching story and recently gave Chesney its Most Valuable Cop award. Chesney said he remembers Cote for his big heart and his ability to laugh no matter what the situation. Slate said Chesney's written tribute to the homeless man is a reminder that "cops can be as soft-hearted as anyone else." Chesney said he didn't write the tribute to get an award. "I wanted to let people know we all could have people in our families who end up through mental illness, or addictions or abuse — or whatever — in Alvin's spot," he said Friday. "There's probably not a family out there ... that hasn't been affected by (those) three things." Chesney wanted to give people "a look into Alvin's world." "He wasn't just this old, bearded street guy. He was a person, too, and things happened to him that led him to end up where he did." Chesney began his tribute by writing: "In my line of work, it’s not often that you can arrest somebody on multiple occasions and end up being friends with them. But such was the case with Alvin." He went on to tell how Cote suffered years of abuse as a child at a residential school, how he was arrested again and again for public drunkenness and how police officers came to look out for him and buy him a burger whenever they could. "It brings a tear to my eye to think of the bad things that happened to Alvin in his past to push him to lead the life that he led, but ... I do hope that he will find peace wherever he now may be," Chesney's blog concluded. "Farewell my friend, you will be missed by many."